John Bayard Chevalier (1887-1955) was born in Providence on January 3I, 1887. 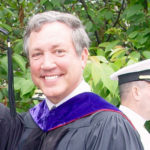 His family moved to Medford, MA where he attended high school. 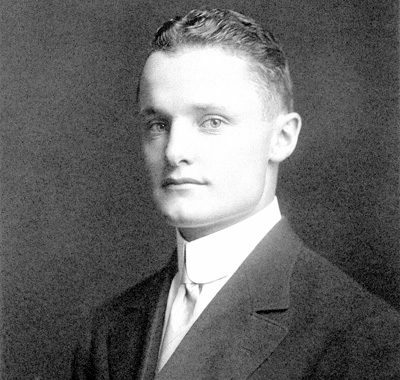 He graduated from Harvard with the class of 1908, and went to work for Standard Oil Company. He spent the next three years in Bombay, and from 1912 to 1917 he was in Shanghai. His first military experience came from three years of service with the American Company of the Shanghai Volunteer Reserve Corps. He returned home after the US entered the war and enlisted in the Signal Enlisted Reserve Corps with the intention of becoming a pilot. After graduating from ground school he sailed for France as an enlisted man, aviation cadet. He trained with the French Army and earned his commission and pilot wings in June, 1918. He then headed the American Aviation Detachment at the Avord advanced flying school, and was CO of the Aviation Instruction Center at Cavaux when the war ended. By the time he re-entered the business world (the wholesale tea business) in 1919 he spoke five foreign languages. He spent the rest of his life in foreign trade and banking, specializing in Asian affairs. He died September 14 1955 in Cambridge, MA. NOTE: His brother, Godfrey de C. Chevalier, was one of our inaugural inductees in 2003. He was a WW1 Naval Aviator who made the first-ever landing on a moving ship (USS Langley) in 1922. Less than a month after Chevalier’s successful landing, he was badly injured in a plane crash near Norfolk, and died two days later. Godfrey was the second of his family to die in the service of his country. In 1898, an older brother, Harold Frye Chevalier, Private, 21st U. S. Infantry, died while en route to the Philippines, in the Spanish-American War, and was buried at sea.